Are you having fun playing soccer? Do you enjoy going to practice and playing games? When you were young, playing soccer was exciting. All through the week, you looked with anticipation to practice with your friends and play in games. Even putting on your uniform and taking road trips to games was fun. 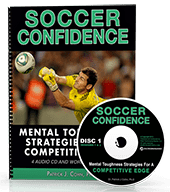 You were having fun and having success, then soccer became more competitive–with more expectations. Trying out for travel soccer, the increased number of practices, the pressure of games, higher expectations and not wanting to let down others (coaches, teammates and parents) can zap enthusiasm. Soccer became too competitive for your liking. The game was not as fun as it once was. When the fun subsides, you begin to lose interest… You question why you even continue to play. Practices are pure drudgery and misery. Games are filled with anxiety. When you were younger, you couldn’t wait to get to the soccer field, now you just can’t wait until you get home. What’s the answer to the “lost fun” conundrum? Finding the balance between having fun and being competitive is the key. 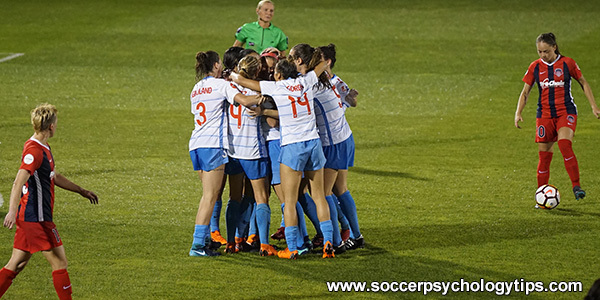 Mallory Pugh, forward for the United States Women’s National Team, is strongly committed to finding balance and credits her ability to maintain balance as the primary reason for her success in soccer. Pugh is 20 years old and plays for the Washington Spirit of the National Women’s Soccer League and the United States women’s national soccer team. Pugh has played at a high level since her teen years, representing the United States at two FIFA U-20 Women’s World Cup tournaments. Balance is everything with regards to longevity, peak performance and enjoying your athletic experience. Pugh’s suggestion of a daily athletic goal is a great way to stay motivated for each day of practice and every soccer game. In terms of fun, keep it a game and not so serious. Challenge yourself to learn new skills. Challenge yourself to work hard. Challenge to focus on the process, not results, winning or personal stats. Keep it a game and you will keep the fun. Taking the ball away in the defensive zone, etc. Make it a game within the game… Make it a challenge… Have more fun!